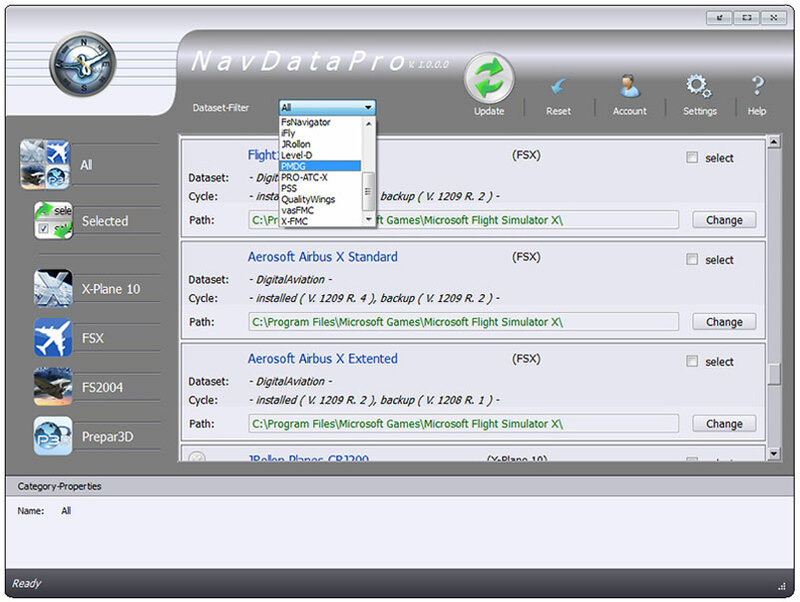 Product information "NavDataPro - One year subscription: 4 datasets"
NavDataPro is an update service for navigational data for several Flight Simulator add-ons using an FMC or GPS data for their flights. The Nav Data itself is supplied by Lufthansa Systems and is used in real world aviation by more than 180 airlines throughout the world. As in real life aviation many users are aiming at conducting their simulated flights with the aid of real and up to date navigational data. Numerous add-ons use Nav data bases for Microsoft Flight Simulator as well as XPlane for planning and performing flights. As the real world Nav data is being updated on a regularly basis these have to be updated in the same manner to feed the add-ons with actual data bases. With NavDataPro Aerosoft is now offering such a periodical and regular update service. The Nav Data itself is supplied by Lufthansa Systems and is used in real world aviation by more than 180 airlines throughout the world. NavDataPro is absolutely easy to use through its intuitive user interface where the user can select the add-on for which to install and update the Nav data base. With a simple mouse click the data will then be downloaded and installed. The program also runs on Windows-PC and Mac systems. Other add-ons will follow in the near future. Related links to "NavDataPro - One year subscription: 4 datasets"